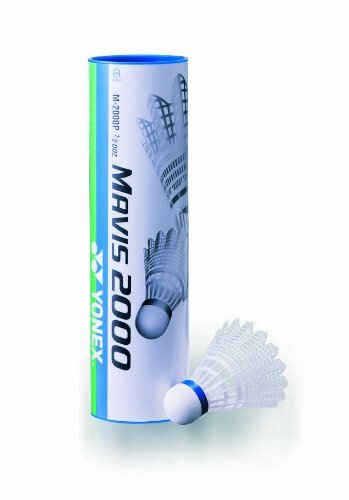 The Yonex Mavis 2000 shuttlecocks provide excellent simulation of feather shuttlecocks performance due to the revolutionary Wing Rib technology. The shuttlecocks are five times more durable than the average nylon shuttlecocks. They recover in only 0.02 seconds and are precision designed and manufactured to deliver outstanding performance. The shuttlecocks are supplied in a pack of 1 dozen.